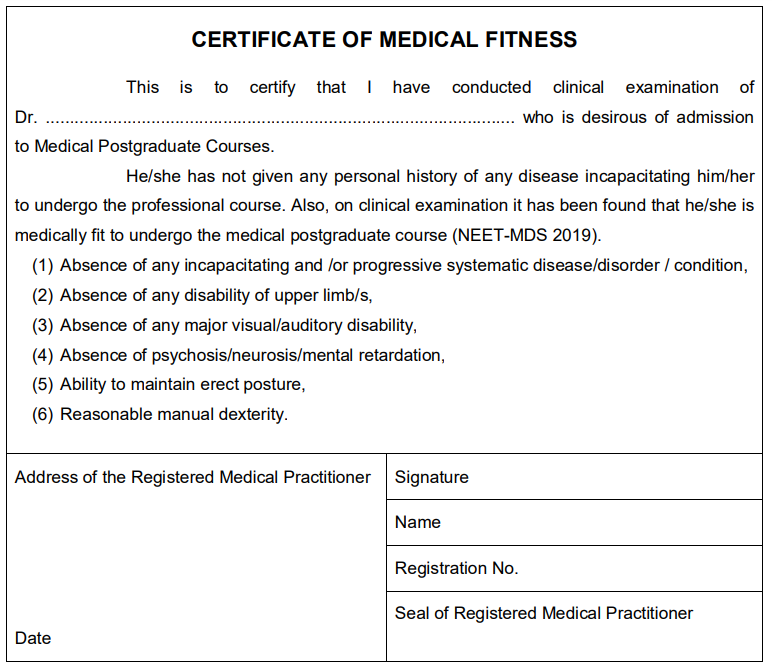 » For BDS admissions, kindly register on Medical Counseling Commettee (MCC)'s website. You can choose Bharati Vidyapeeth (Deemed to be University) Dental College and Hospital, Sangli, as your first choice / preference. » For BDS admission through 2nd Institute Mop-up round, kindly register on Bharati Vidyapeeth (Deemed to be University) Website and select Bharati Vidyapeeth (Deemed to be University) Dental College and Hospital Sangli. 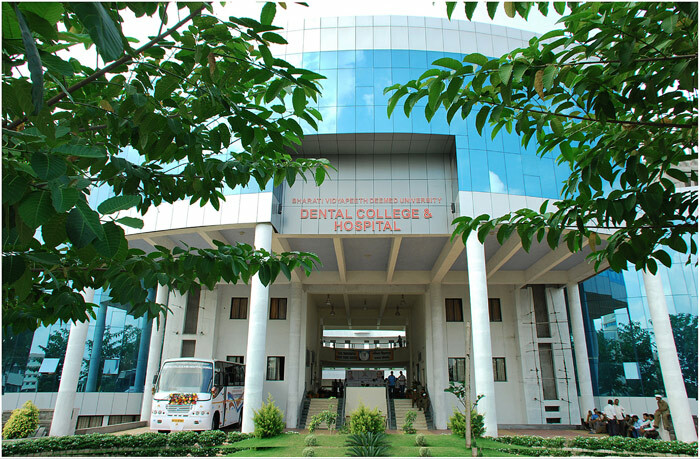 Bharati Vidyapeeth (Deemed to be University) Dental College and Hospital, Sangli was established in 2006 to fulfill aspirations of students to obtain professional “education and growing demand for education in dentistry in this region.” The college has been recognized by the Dental Council of India. Over the years, this College has earned recognition and reputation at the National and International level. Currently, one undergraduate and six postgraduate courses are being offered at this College. The College is housed in a building of 2 lakh sq. ft. The building is not only an architectural beauty but it is functionally well planned. 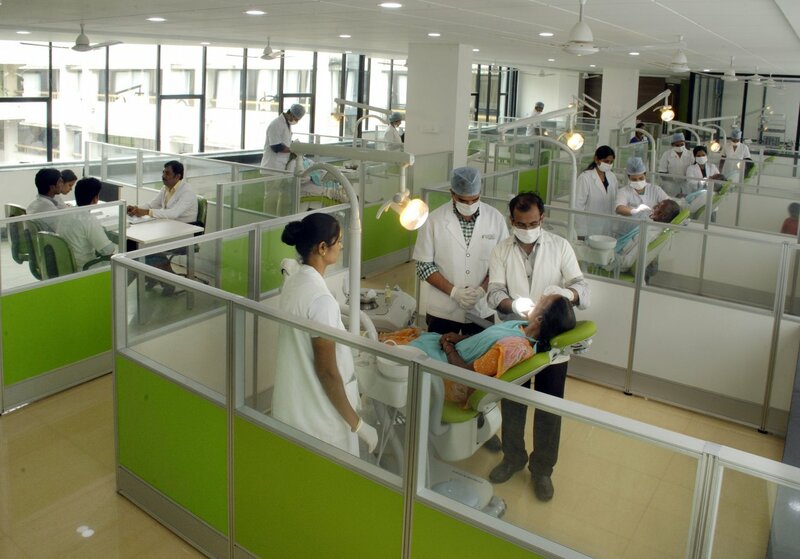 The Dental College and Hospital is pioneering institute in this part of the country in the field of dental education. All our graduates have made a name for themselves in private practice, employment and higher studies in India as well as abroad. The College has very progressive and pragmatic environment developed by highly qualified and experienced teaching staff using most modern and innovative teaching aids and methodology. We emphasize on simulated and real life experience based learning. 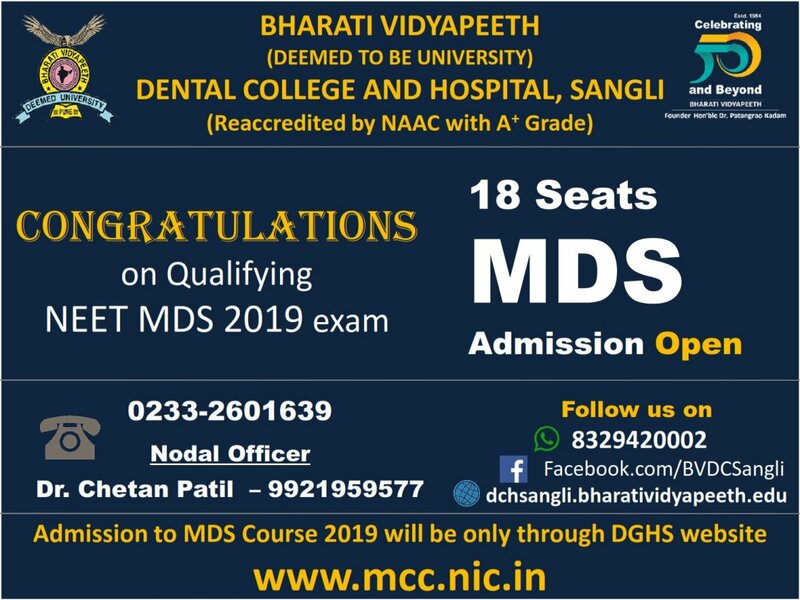 Bharati Vidyapeeth (Deemed to be University) Dental College and Hospital Sangli and the courses offered are recognized by the Dental Council of India. The college is provided with space for its clinics and laboratories which are equipped with modern equipment and materials. It has full access to the advanced Operation Theatre Complex of around 750 bedded Bharati Hospital. Besides other equipments, ceramic fabrication systems, research microscopes and digital imaging systems like OPG & RVG are available. Faculty and Student are benefitted with huge library with over 4684 books along with national (30) and international journals (54). 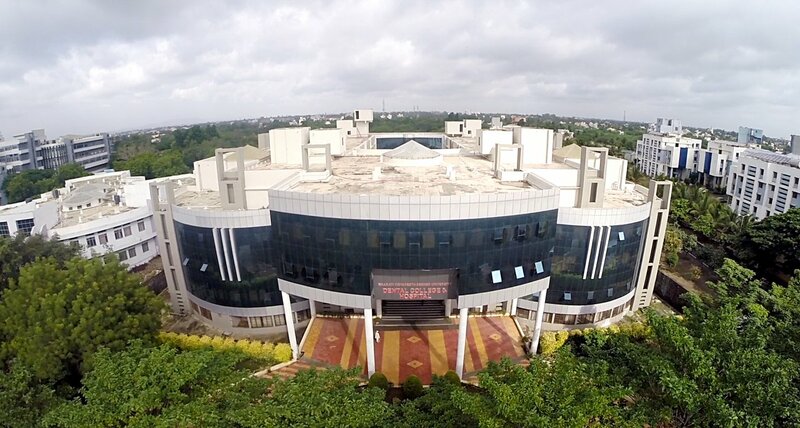 Students are given training in basic medical and dental sciences, scientific literature, research and appraisal research methodology, Biostatistics, evidence-based methods, computer applications, presentation skills and professional ethics. Training is also provided in multispecialty and interdisciplinary management of patients. Students are encouraged to attend conferences and guided to deliver scientific presentations. Also encouraged to take research projects eg. ICMR student projects. A highly interactive learning environment has been a unique feature of our training programme. Regular continuing education programmes are conducted to keep the students and faculty abreast with the latest knowledge. An exhaustive collection of resources with internet facility in the library and teaching-learning aids and material in every department form the backbone of the Undergraduate and Postgraduate training programmes. A large number of patients with varied pathology that our students get as clinical material, gives them the confidence required for independent specialty practice. In our pursuit to further raise standards of education and research the college boasts to have Well-qualified experienced dedicated teaching staff, advanced teaching learning methods and equipments and technologies, Value based education to students with feedback systems, encouragement for extracurricular activities and N.S.S. activities. Thus the mission of the institution “Social Transformation through Dynamic Education” is achieved to protect the interest of all stakeholders.